A lot of us have already tried and fell in love with the new start menu from Windows 7 (well if you’re coming from Vista, it’s not really new now is it?). It’s a functional combination of the age-old start menu that we’ve seen since Windows 95 and a launcher program (just search for your program and Windows 7 looks for and lists it down for you). If you didn’t like the Windows 7 start menu however, there’s no way to revert to the old start menu natively in Windows so you’ll rely on 3rd party software to install that functionality for you. There’s already quite a few “Classic” start menu applications around but this is the first one I’ve seen touting Aero support. 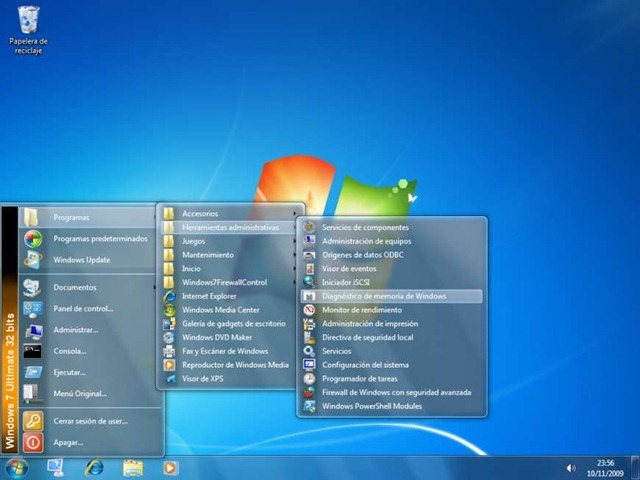 Classic Windows Start Menu is a tiny tool for Windows 7. No need to install, just extract and run. 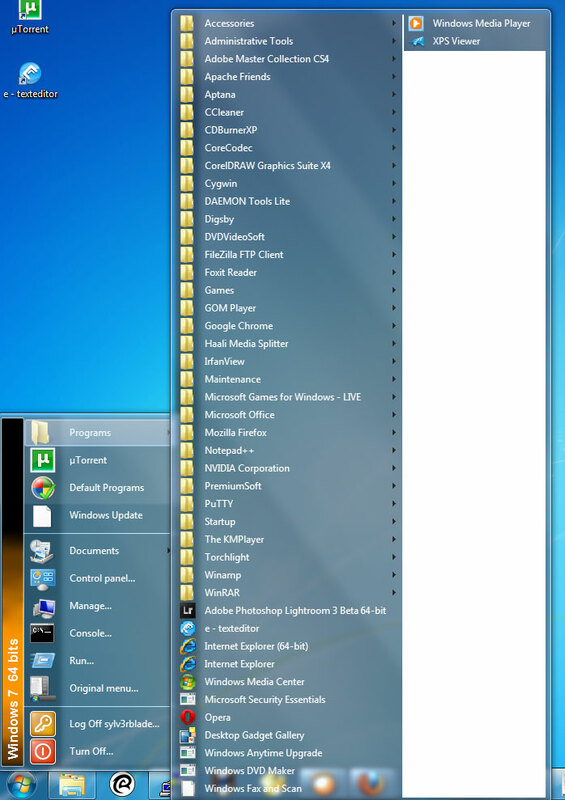 To the right is a screenshot of my start menu when run with Classic Windows Start menu. Messy isn’t it? And the tool seems to have a problem with a 2nd pane (note the very attention-grabbing white area). But, beggers can’t be choosers, it’s the most visually appealing tool for the classic start menu that I’ve seen so far.